ISSE will be traditionally held in the exhibition pavilion No. 75 VDNH, which has multifunctional halls designed for holding exhibitions with a total exhibition area of 24,500 square meters. The pavilion has a transformable conference hall with 720 seats, as well as a complex of auditoriums and meeting rooms, equipped with all the necessary equipment for holding congress events. Pavilion No. 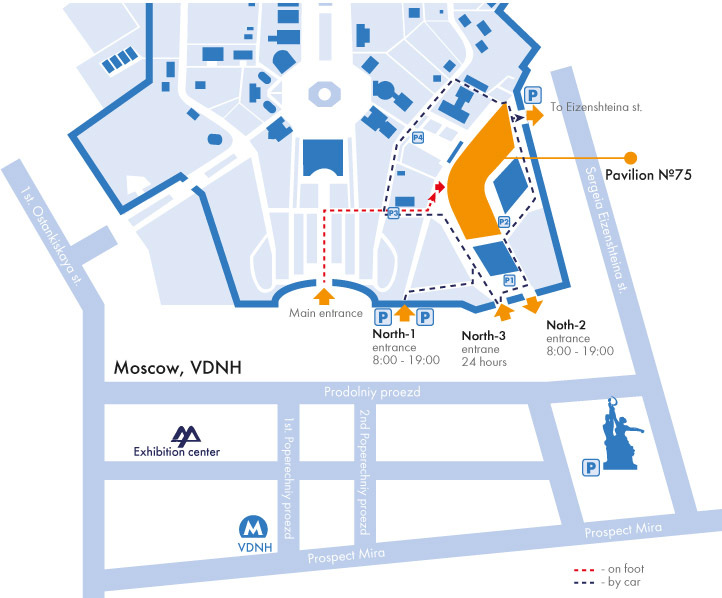 75 is located few minutes’ walk from the metro station "VDNH", exit in the direction of VDNH. The exhibition hall is located to the right of the main entrance.